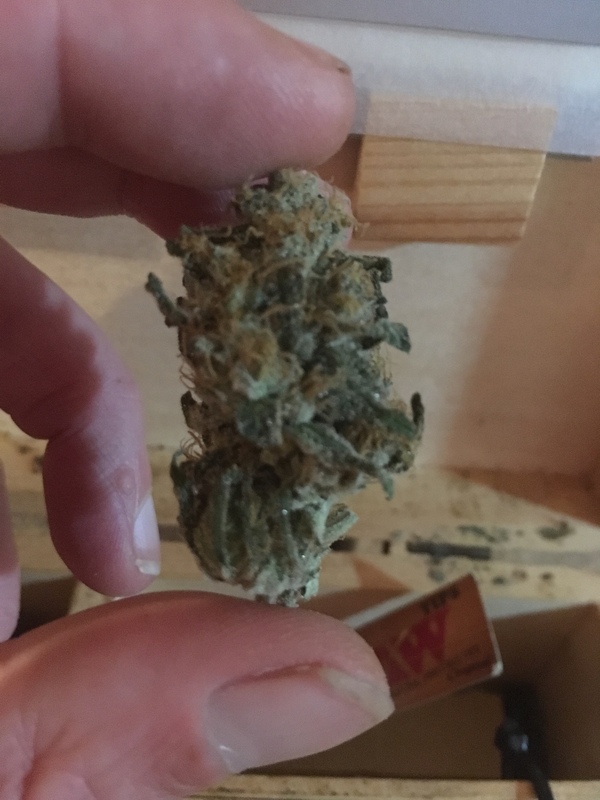 Just a bud of my curing bf blue cheese. Easy to grow short height lots of buds. Taste of cheese and sweet blueberries incredible I’ve got a mother out of it and will run again soon. Just a bud of my curing bf blue cheese. Easy to grow short height lots of buds. Taste of cheese and sweet blueberries incredible I?€™ve got a mother out of it and will run again soon. How to grow? Describe in a few sentences how you have achieved such a good result and yield? I think the information will be useful for everyone, thanks! I use a Wilma 4 pot with 11ltr pots but only grow two plants as I’m limited to space 60x60x140. Use clones from a mother keep the Ec around .9 to 1.0 and change the res once a week. The key is to keep them low and bushy this strain loved it with some lst and pinching out she bushed out nice. You want to change the feed slow from grow to bloom over 3 or 4 weeks so you don’t suffer with yellowing. I used Ferro nutes a and b with a little silicon, canna boost and pk. You really got to watch the ec and don’t over feed it means the flush is short and clean bud at the end. 8 weeks and she was done gave it a 7 day flush which was plenty as it hadn’t been over fed. Using a Wilma and keeping things dailled really helps but this strain is easy to grow and the flavour is amazing, the yield wasn’t bad I filled three decent sized jars once dried. It’s true it’s cheese on the way in and blueberry on the way out.